Human Engines is an innovative software development company dedicated to redefining user experiences. Human Engines brings together video gaming, mobile, chipset, software and graphic design expertise for a totally new category of user experience. SASI led the negotiations of the letter of intent through the definitive agreement. 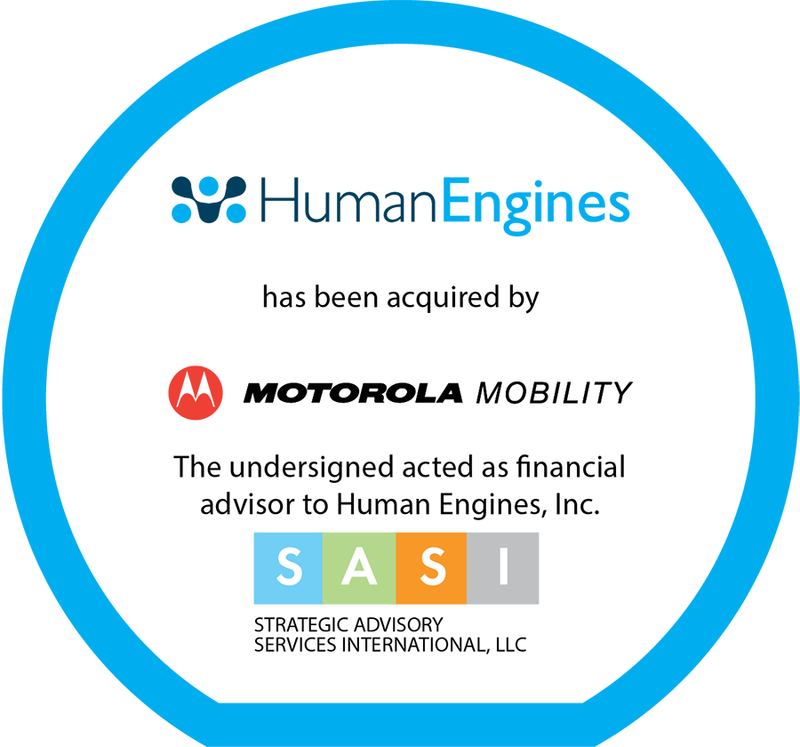 SASI was also involved in negotiating key employment terms and other critical post-acquisition matters. Keys to success included evaluating the strategic options facing the client, understanding the unique dynamics and sensitivities on both sides of the transaction and running an efficient due diligence process.